A few weeks ago I inadvertently embarked on what became a surprisingly epic quest. I was perusing the upcoming Vintages release and noticed an interesting looking rosé. 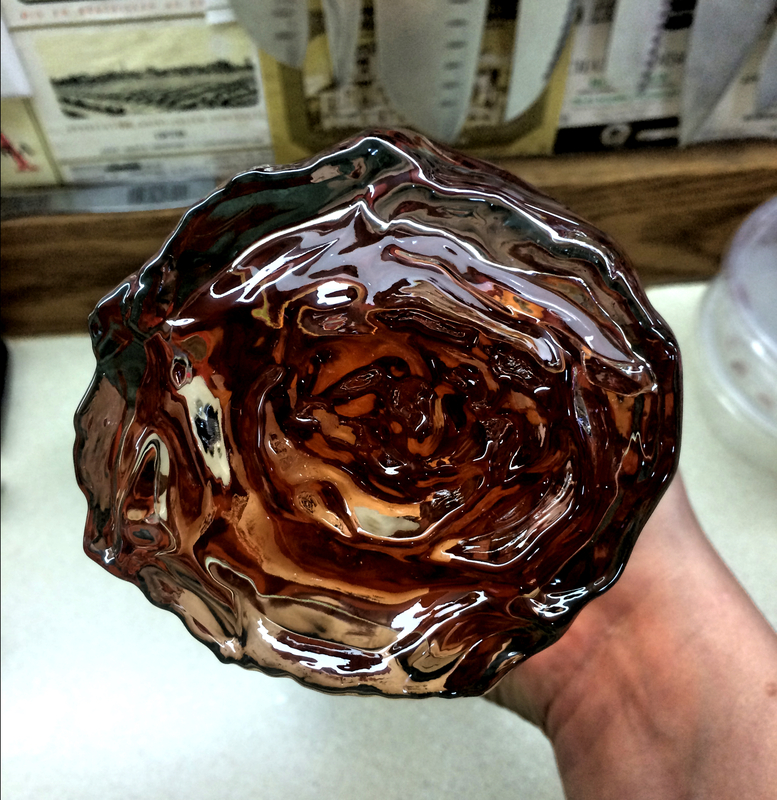 It was called Côte de Roses and was from the French maker Gérard Bertrand. I’ve had reds from this maker before but never a rosé. The bottle for this wine was so elegant I wanted to get my hands on it. After talking to my mom and discovering that she was looking forward to it too, I knew I had to make it happen. Sleek. Elegant. From Southern France. And a glass stopper? I am in. Alas, alack! Release day came and went and this bottle was nowhere to be found! Not in Toronto, not in Kingston, where my parents live, not anywhere! Despairingly I learned that this wine was hidden within the great depths of the impenetrable citadel known as the LCBO warehouse. Sorry, but our princess is in another castle. And so, I had no choice to but begin stalking this wine via the LCBO website. Near daily searches proved futile. Staff at my local shop didn’t seem to know what I was talking about. Hope was fading, seeping out of me like sand through a broken hourglass. Just as the last of my faith was slipping away I took yet another trip to my local LCBO. Battle-weary from so many attempts to find this beautiful bottle with pretty the glass stopper, I wistfully shuffled through the aisles, debating whether to even attempt another potentially fruitless search. And then, out of the corner of my eye, I saw a beautifully shimmering display of light pink liquid over by the Vintages section. Was is a mirage? Some cruel deception my eyes and heart had created? No! 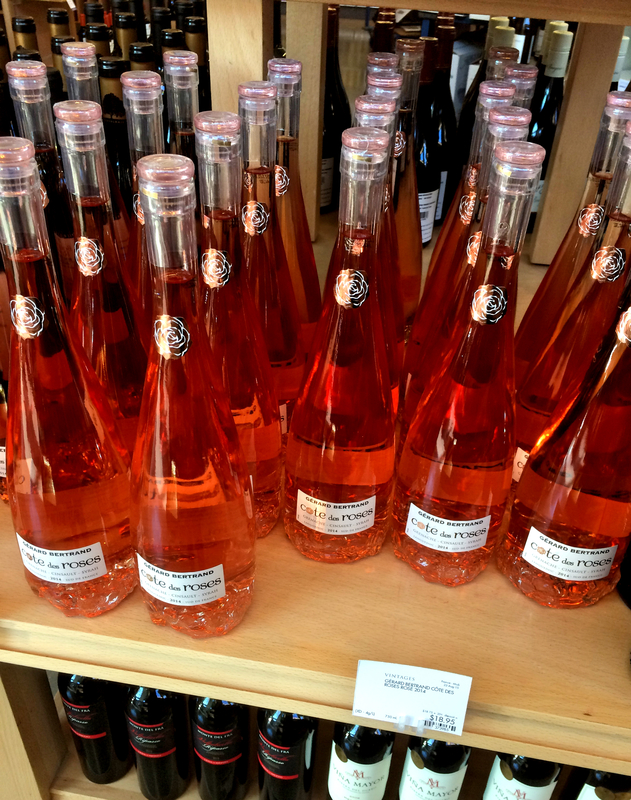 There it was – an entire table of Côte De Roses! Sweet merciful universe, there it was! Sitting so demurely, like it wasn’t some sort of holy grail. I looked around, surprised that no one else seemed to realize the treasure in front of me. Not wanting to be greedy and tempt the wrath of the lcbo fates, I took two bottles only and quickly made my exit. She will be mine. Oh yes. She will be mine. Even the bottom of this bottle is gorgeous! And let me tell you, this wine was worth the trial. Light and subtle, the nose and flavour dance on your tongue, sharing with you hints here and there of the essence of Southern France. 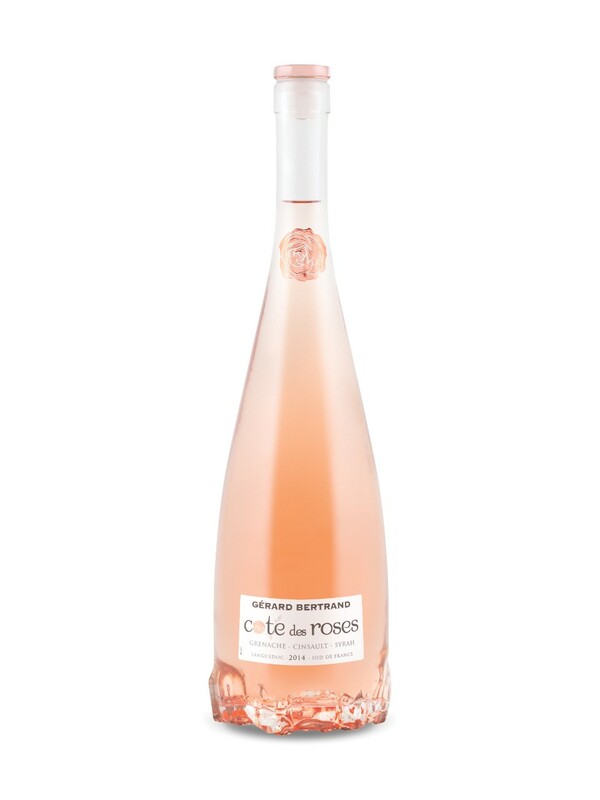 The Gérard Bertrand website says that Côte des Roses celebrates the Mediterranean lifestyle and I couldn’t agree more. If I can impart any wisdom from this experience, it is to buy this wine if you ever see it in the wine store. I picked up some wines at my local LCBO yesterday and I thought where better to share my finds than right here. I bought two reds (on impulse, really) while wandering the aisles. This is often how I make my purchases – I’ll float in and out of the racks, perusing bottles, reading labels and picking up the ones that are that sweet combination of interesting and not-too-expensive. 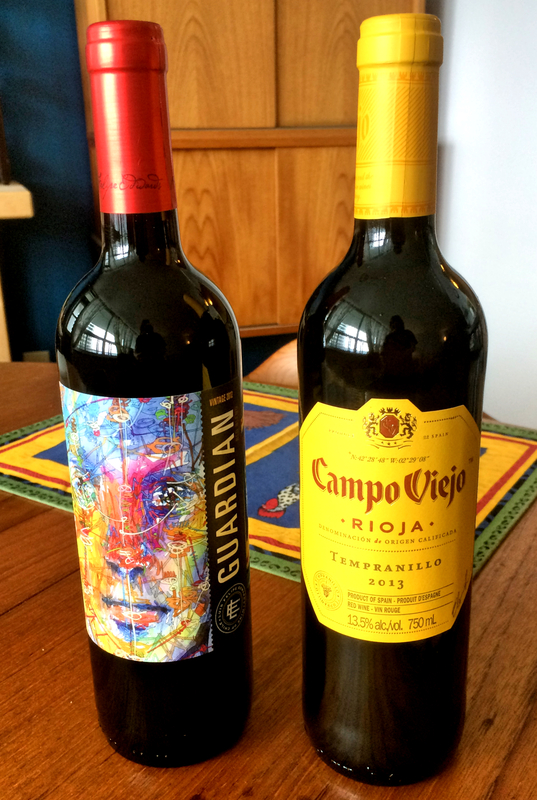 This time around I picked up a bottle of Guardian Reserva 2012 (a blend) and Campo Viejo 2013 Tempranillo. I did have some other reasons besides my weak will. Campo Viejo is a maker whose wines I’ve had and enjoyed before. On top of that, I know I like reds from the Rioja region of Spain, especially Tempranillos. Plus, it was on sale! Win-win. I only realized there is a face on the label when taking this photo. My observation skills could use some work. With this wine it was the label that originally drew me in. I was shopping with a friend and we both thought this label was super pretty. I challenged her to try it and decided I should too so that we could compare our impressions. I also like that it’s from 2012 – age x affordability = a winner in my books. Despite being a blend (and we all know my feelings about blends) the grapes used are listed on the back, which I very much appreciate. 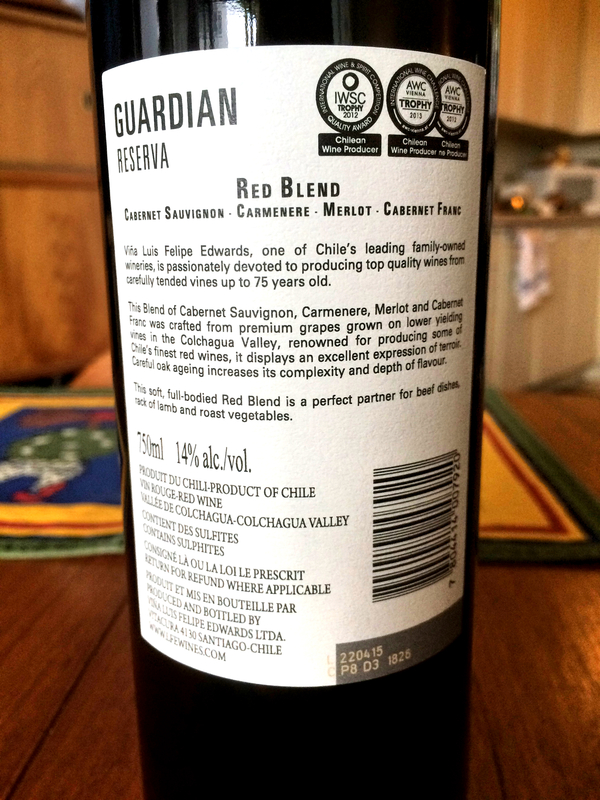 Beyond that I noticed that this wine is from the Colchagua Valley in Chile, a region I know I like. So even though this particular wine is new to me, I made an educated guess in choosing to buy it. Cabernet Sauvignon and Carmenere and Merlot and Cabernet Franc, YUM! Plus, it was also on sale. How can you go wrong?? I haven’t tried either wine yet, but if you want to know my thoughts when I do you can follow me on Vivino, where I log most of the wines I drink. I am excited about these wines! 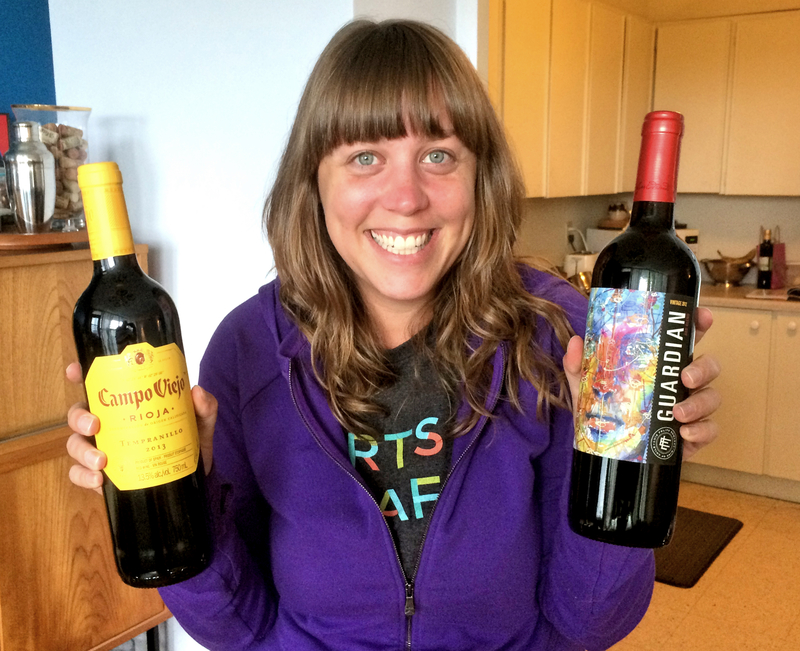 I have a somewhat unpopular confession to make – I like cheap wine. I love it, in fact, and let me tell you why. All wine tasting and buying is a game. There are some circumstances – occasion, season, personal preference, amount available to spend – and an objective – buy a great bottle of wine. The game would be too easy if the sky was the limit in terms of price. Sure, If money allowed I’d drink lots of Veuve Clicquot, Chateauneuf-du-Pape, and big California reds, but something tells me it would get a little too deliciously simple after a while. Where’s the experimentation? Where’s the intrigue? How can you know you’ve truly hit the mark on a good bottle if you’ve never missed it? Full disclosure: In addition to being a big wine-lover, I am also a huge bargain-hunter. I relish spending the least possible amount on the largest possible return. Everything you see in any given store is offering you something, and wine is no different. Each bottle offers its own version of value, but not every bottle’s offer will match the value you expect from buying it and tasting the sweet nectar it holds. On top of that, some wines will want you to pay more because of the name on the bottle, or the specific adorable little hillside its grapes were grown on. Francis Ford Coppola really wants you to think his wine is valuable, and so does the Champagne region in France, for example. Are you going to agree or disagree with what they’ve offering you? Each bottle is a decision, and a gamble. How much do I think I’ll like this wine? Would I bet $10 to find out? $20? $50? More? For me, the more I invest in a wine the more I expect to love it. But it doesn’t always work like that, which is why I keep my gambles low. If wine was Vegas, I would be at the $1 buy-in tables, turning up my nose at the high-roller tables and private back rooms. And that, my friends, is why cheap wine can be so exhilerating. It’s like Russian Roulette, except nothing is dying. Well, maybe a few brain cells – we are drinking, after all. What’s your price limit with wine?